Smart Cities & Smart Airports share many of the same challenges - find out about how our three key takeaways from the recent 'Passenger Terminal Expo' - Biometrics, Connectivty & IOT and Data Management Platforms - are at the forefront. Technology vendors and service providers have been looking to promote their hardware and software platforms for smart cities for over five years. There have been advances made in developing some aspects of smart cities but the problems of positioning, funding, responsibility and business models are often encountered. Smart cities are so broad reaching and encompass so many different facets that they become very complicated and require the coordination and agreement of many, many different partners, departments and stakeholders. By contrast, smart airports represent a much more tangible business opportunity, effectively encapsulating much of what is being targeted with smart cities but in a much more addressable, contained and defined envelope. Smart airports provide a much better-defined ecosystem and target customer-base, with existing relationships, responsibilities and budgets much more established than for smart cities. Perhaps as important is that the need and requirement for more automation and efficiency is understood with operators and airlines looking to improve their levels of service and maximise their operational infrastructure and processes. Similarly government agencies responsible for border management can gain greater visibility and use passenger data efficiently so they support these efforts too. All of this enables the potential ROI to be more clearly identified and understood – although it does surprise me how many unknowns there are. When speaking with technology vendors and operators, it’s apparent that many are uncertain as to what greater throughput or rate passengers can be processed at. They know that it is better and faster but often not by how much, although the end effects can all be added up it is worth noting that how this is achieved is not clearly evident at the outset. Much of this is currently realised by proofs of concept where the best system is achieved by trial and error, with adjustments being made throughout. This may be because an airport has so many interacting facets and dependent factors that the outcome can be difficult to track and measure: which brings me to the major themes in much evidence at the recent Passenger Terminal Expo (PTE) in Stockholm and other recent events. These themes can provide much greater accuracy and quality of the data generated inside airports and in related areas (such as local transportation systems and elsewhere in the aviation network) as well as improved visibility within the airport. 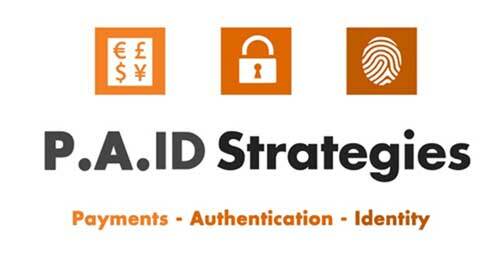 The first theme is a long-term favourite of ours: biometrics. Biometrics are increasingly being integrated into most of the major passenger touchpoints, from pre-registration to first point of arrival, check-in, bag-drop, to the boarding gate and clearing border control upon arrival (or upon departure, depending on which model is being employed). Companies are now extending this so that biometrics can be used in new ways to personalise and tailor information and services to customers, potentially extending this to allow them to pay and have greater interaction and use of services via mobile apps. Some vendors and operators are already pushing ahead with implementing the concept of a using a single biometric token to pass through an airport with a passport and boarding pass only required as back-up. IATA is working on how to standardise this but the early adopters are already doing it. So much momentum is building around biometrics – I am not sure that I could name a relevant company involved in passenger-facing solutions that doesn’t already include biometrics – that it is well positioned to become the de facto identity solution across multiple use cases within airports. The second theme was connectivity and data. WiFi is now a ubiquitous tool, which offers free connectivity (even if limited for a set time period) and improves the passenger experience but more importantly gives operators much better visibility of who, how many and where passengers are. This is important to improve passenger flow and communication (as well as optimising airport layout) and is especially effective if combined with other solutions such as beacons and CCTV. The level of connectivity now being implemented within airports is way above that previously considered and the tools to make use of all of this data is increasingly available. Perhaps the biggest challenge in this regard is stakeholders’ positioning and approach to sharing this data with partners to be even more effective. However, an increasing number of companies at PTE were exhibiting solutions that are designed to give more insight by generating or making use of data around airport facilities, services and passengers. As apps become more interoperable and linked this will only increase as awareness amongst the industry and passengers grows. The third theme emerging at PTE and across the wider airport sector combines biometrics, connectivity and data along with all the digital solutions being implemented into a single unifying management platform. The aim is to give total access and total visibility, employing analytics on the greater level of data being generated by connected machines, touchpoints and internal systems and networks. These can be used in conjunction with and supplemented by external systems, usually as part of a reciprocal arrangement between airports. The biggest challenge is, despite the clear operational advantages in terms of control, planning and real-time reaction to changes, that this requires a modified approach and organisational mindset that many are not ready for yet. So this is relatively early days but the combination of sector specialists along with multinational data and infrastructure technology companies will make in-roads and provide a clear development path tailored for airports to follow. The newer (and increasing) presence of these larger companies at PTE reinforces our view that smart airports encapsulate a more viable smart city opportunity for companies in the near-term. The reasons for this are the level of activity, the current level of demand and interest but perhaps more importantly, the established financial relationships and business models, partnerships and responsibilities, plus the business case and rationalisation of them are all much better defined. This is not only limited to major airport hubs and flagships, much of the activity has centred around these but the benefits are as valuable (and possibly more so) for the regional airports. These are competing for business from airlines and passengers and the latest announcements and installations of biometric and automated solutions that we track are now occurring in these regional airports too. The relationships between the airport operators, airlines and governments may be evolving and the development of smart airports, with more technology being introduced, aligns well with these changes, helping all parties work together to provide a safer, better and more valuable passenger experience.